Providing you the best range of ceramic fiber ropes, ceramic fiber module, ceramic fiber board, ceramic fiber blankets, ceramic fiber wool and ceramic fiber insulation with effective & timely delivery. We have captured the industry by manufacturing good quality Ceramic Fiber Ropes, which is known for its thermal stability and elasticity. The rope has been made from high-grade material sourced from reliable vendors. We are well equipped for handling bulk orders as we have a huge warehouse for storing and are prompt with delivery owing to the transportation network we harbor. 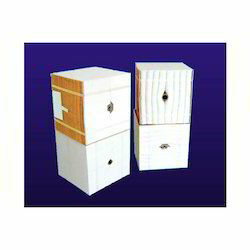 We are the leading manufacturer of Ceramic Fiber Module to a wide client base situated in India and abroad. The product is exceptional in quality as we have a reliable vendor base for providing with authentic ingredients. It has low thermal conductivity and excellent thermal stability. The rope is used for insulating furnaces in petroleum and mineral ore industries. 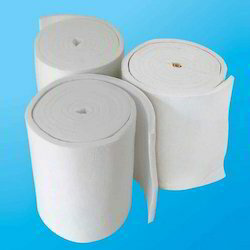 We are the pioneers in manufacturing Ceramic Fiber Board to a huge number of clients. The product is highly appreciated for having low thermal conductivity and excellent thermal stability. It has been made from good quality is sourced from a reliable vendor base. We follow stringent parameters of quality control for ensuring delivery of defect free product to the customers. 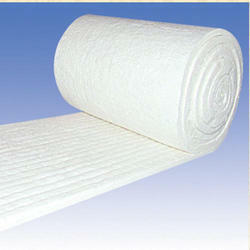 We have captured the market by manufacturing meaningful Ceramic Fiber Blankets. which have earned us huge appreciations by our revered clients. They are resistant to heat shocks and are used for insulating refractory. The products are excellent in quality owing to the reliable vendor base we harbor and stringent parameters of quality control, before being delivered to the customers. 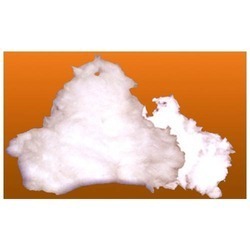 We are a trusted name in the market for manufacturing optimum quality Ceramic Fiber Wool, which is regarded for its thermal stability and low thermal conductivity. It has been sourced from a reliable vendor base and has been checked extensively for quality assurance. The bulk is used in a turbine of nuclear reactors and in pipes kept under high temperatures. We are well equipped for handling bulk orders conveniently owing to the large manufacturing unit, we harbor. We are a trusted name in the market for manufacturing optimum quality Ceramic Fiber Insulation, which is regarded for its thermal stability and low thermal conductivity. It has been sourced from a reliable vendor base and has been checked extensively for quality assurance. The ceramic fiber is used in a turbine of nuclear reactors and in pipes kept under high temperatures. 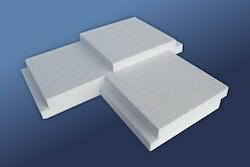 They are resistant to heat shocks and are used for insulating refractory. The products are excellent in quality owing to the reliable vendor base we harbor and stringent parameters of quality control, before being delivered to the customers. We are a trusted name in the market for manufacturing optimum quality Ceramic Wool which is regarded for its thermal stability and low thermal conductivity. It has been sourced from a reliable vendor base and has been checked extensively for quality assurance. The bulk is used in a turbine of nuclear reactors and in pipes kept under high temperatures. We are well equipped for handling bulk orders conveniently owing to the large manufacturing unit, we harbor. We have captured the industry by manufacturing good quality of Ceramic Fiber Rope, which is known for its thermal stability and elasticity. The rope has been made from high-grade material sourced from reliable vendors. We are well equipped for handling bulk orders as we have a huge warehouse for storing and are prompt with delivery owing to the transportation network we harbor.